Are you getting ready for Summer 2018 ? Gearing up for Summer and have already started dreaming of the balmy evenings relaxing outside with a chilled glass of your favourite tipple, make sure you have a quick whizz across our website to make sure you are ready. Gardeners Only is a simple to use site designed to run on Smartphones, Tablets and Notebooks and provides details of a huge range of thousands of the UK’s best selling Gardening products all accessed by a simple ‘tap’,click’ or ‘swipe’. So, if you are the type who takes your gardening seriously why not take a look at our latest compilation of some of the best selling and most desirable searched for Gardening gifts and products on the internet in the UK currently. 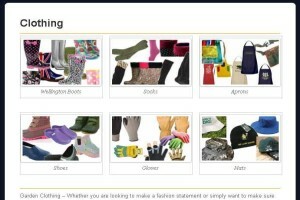 Alternatively, why not use our product category selection below. This page provides a gateway to our site. 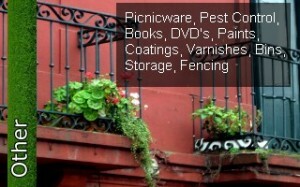 Please select from the main category headings below to go directly to the different types of gardening products. 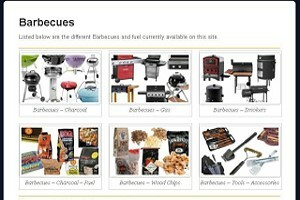 Barbecues – This section includes everything necessary and includes listings for Gas Barbecues, Charcoal Barbecues and Specialist Wood Smoker Barbecues. 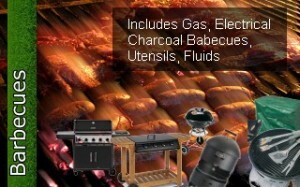 It also includes different Barbecue Fuels such as Barbecue Charcoal, Lava Brick and a huge variety of Smoking Wood Chips, plus an extensive listing of Barbecue tools and accessories (such as tongs and barbecue cleaning brushes. 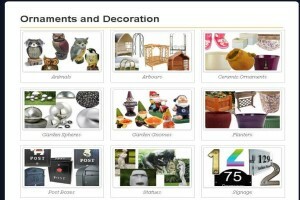 Ornaments and Decoration – This section takes a look at virtually every type of garden ornaments available today. 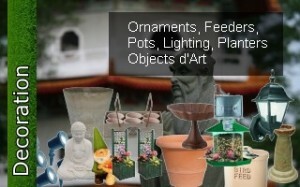 The section covers Animals, Ceramic Ornaments, Garden Spheres, Gnomes plus Statues and well as Terracotta figures and figures. Included in this section are also Arbours and decorative garden arches, Planters, Pots and Water features, wind chimes and spinners. 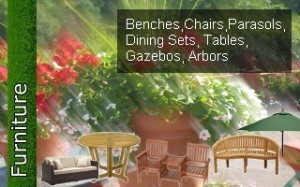 Garden Furniture – This section covers all types of Garden Benches, Chairs, Dining Sets, Tables, Loungers,Recliners and Hammocks. 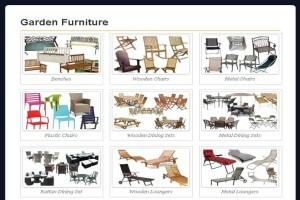 Many of the different types of furniture are divided in their different construction materials such as Wood, Metal Plastic, Rattan and Plastic, PE and Resol Sunloungers. 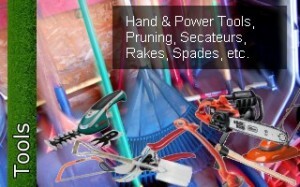 Garden Tools – This section covers a huge range of Hand and Power tools for the garden. 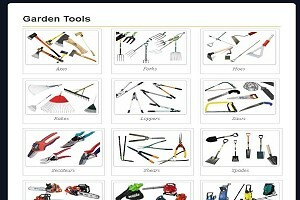 The Hand Tools section includes Garden Axes, Forks, Garden Hoes, Rakes and Saws. 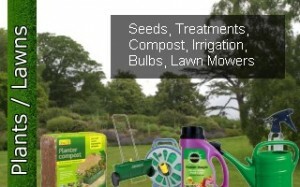 specific Plant care products include, Secateurs, Branch Loppers, Grass Shears and different types of Spades. The Powered Tool section is divided into different sections including Chainsaws, Leaf Blowers, Pressure Washers and Shredders including small duty chippers. Plants and Lawn Care – This section includes a huge range of lawn mowers and special equipment and is divided into Cylinder Mowers, Hover Mowers and Rotary Mowers. 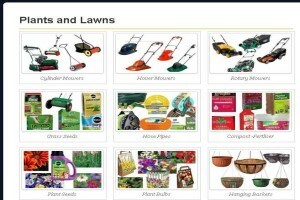 The section also includes different sections for Garden Seeds, Garden Bulbs and Lawn care products, plus irrigation equipment including Hose Pipes and Watering Cans. 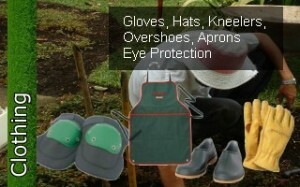 Clothing – This section includes Wellington Boots, Overshoes, Cloggs plus Galoshes and other Gardening footwear and Socks, plus Gardening and Barbecue Aprons, Gardening Gloves and different types of gardening Hats – many with specialist UV protection. 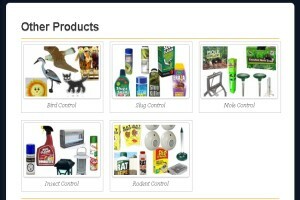 Other or Miscellaneous Products section – includes an ever expanding range of all other types of gardening products including Pest Control products such as Bird Scarers, Slug Control, Solar Powered Mole Deterrents, Rodent Control and Insect Repellants.